Recent political conflicts signal an increased proliferation of image testimonies shared widely via social media. Although witnessing with and through images is not a phenomenon of the internet era, contemporary digital image practices and politics have significantly intensified the affective economies of image testimonies. This volume traces the contours of these conditions and develops a conception of image testimony along four areas of focus. 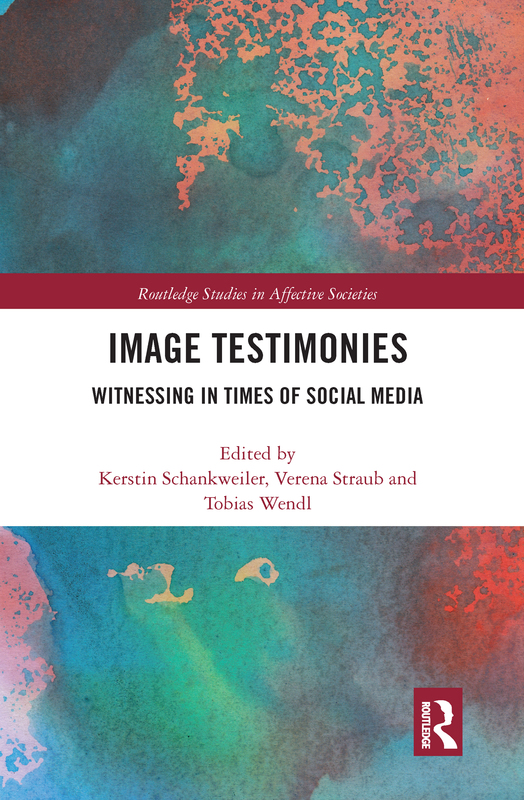 The first and second section of this volume reflects the discussion of image testimonies as an interplay of evidential qualities and their potential to express affective relationalities and emotional involvement. The third section focuses on the question of how social media technologies shape and subsequently are shaped by image testimonies. To further complicate the ethical position of the witness, the final section looks at image testimony at the intersection of creation and destruction, taking into account the perspectives of different actors and their opposed moral positions. With an emphasis on the affectivity of these images, Image Testimonies provides new and so far overlooked insights in the field. It will appeal to students and researchers interested in fields such as Sociology and Social Policy, Media and Communications, Visual Arts and Culture and Middle East Studies.